How is tech changing packaging? When talking about innovation in packaging it’s easy to focus on materials or design. But how are developments elsewhere impacting the way we package things? Advancements in tech have opened up a lot of new opportunities, particularly as every year tech gets cheaper, smaller and better. This makes it more and more feasible for technology to merge with packaging in an unobtrusive, but beneficial way. Smart packaging is likely to become more and more ubiquitous in the coming years. The simplest way of combining tech into packaging isn’t actually very tech-y at all. QR codes printed onto packaging can be scanned by customers with their smartphones to reveal information, videos and more. But other options are being explored, with near-field communication (NFC) chips and radio frequency identification (RFID) tags leading the way. Although these electronic chips are more complex than a simple printed code, they also reduce the steps for the customer by giving them information with a simple tap, rather than the need to open a special QR code-reading app and then be redirected to the specified webpage. One example of NFC-enabled packaging in action already is extra virgin olive oil. A group of oil producers are using NFC chips behind the product labels to enable buyers to confirm the provenance and authenticity of the product. This is via the accompanying iOlive smartphone app, which reads the details from the chip. 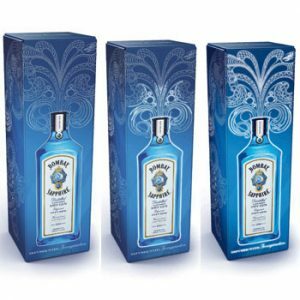 Brands like Bombay Sapphire Gin and Skyy Vodka have already experimented with limited edition tech-enabled packaging. In Bombay’s case, this was a series of boxes printed with a design that lit-up when picked up thanks to electroluminescence technology. Skyy took a different approach, using dozens of LEDs embedded into the label and a special power-source base to make vodka bottles that lit up in time to music. The base housed the power switch, battery and sensors, which when turned on could recognise music and then light up the LEDs on the label in the style of equaliser bars. Both concepts weren’t for long-term mass production, but it shows how brands are already exploring the possibilities. With these opportunities come issues though. The recycling of smart packaging is one consideration. Placing electronics into packaging makes them more difficult to recycle safely and cost-effectively, which could lead to increased volumes of rubbish to landfills, or the risk of contamination. This means that designers and manufacturers will have to think carefully about what they use in the packaging of the future, and how to limit these issues. For example, putting electronics in easy-to-separate-out parts of the product packaging could help minimise the recycling quandary. Likewise, the makers of smart chips for packaging are exploring the materials used in their construction and how to make them as environmentally friendly as possible. The electronics field continues to develop at a rapid pace, which means we may soon be moving beyond chips and into a new realm entirely. What we shouldn’t do is disregard tech when it comes to packaging. The world is getting smarter and more connected every day – packaging is going to do the same.